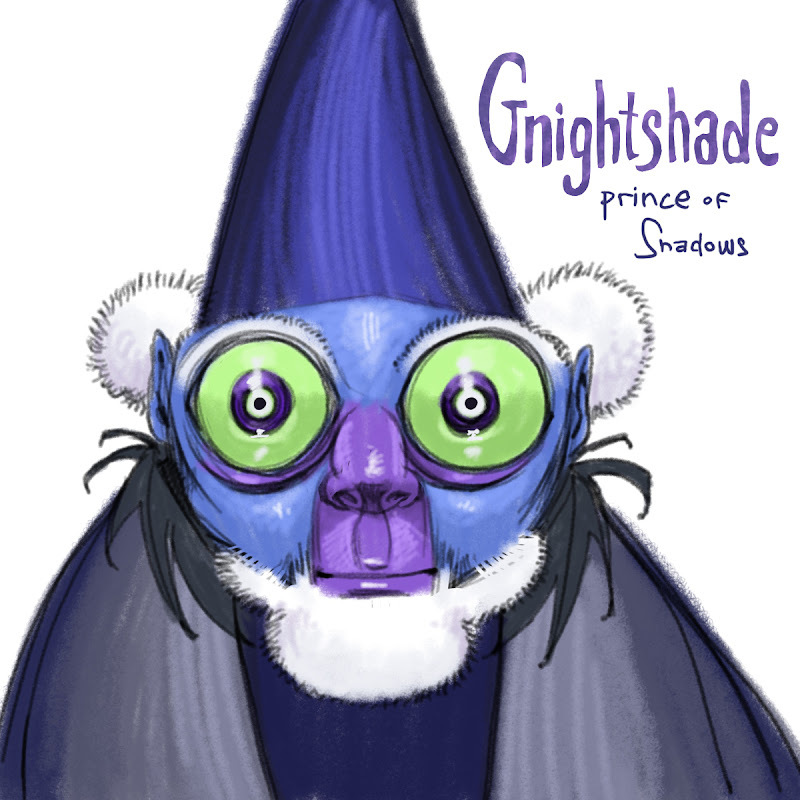 This is a nocturnal gnome. Yesterday's Gnome was named "Bernard," by Abigail. And the detail, "he thought he caught a big fish." is from Bridget. Nice work guys. He's a scientist and studies bioluminescent animals at night. Heeblin. Spends a fortune on custom goggles. gnocturnal? that's cool. he reminds me of the tarsier from Feb 5. I especially love the eyebrows. Many are surprised when he pops in front of them at night, then disappears again into the dark...but the real surprise is how many things he can hide in that little fuzzy beard. I'm thinking Gilbert de Lune, also known as the Prince of Shadows. Gnot a gnome. That's a gtarsier. Let's call her Geetar. She rocks. He stayed up all night once as a child and now look at him. Cornelius. he belongs to a lemur cult where the paint their faces purple and blue. As you might suspect, I'm going with Steve. He's afraid of the dark. Maurice - he looks like Maurice from Madagascar. I hope Helene wins the detail award. That is perfect!